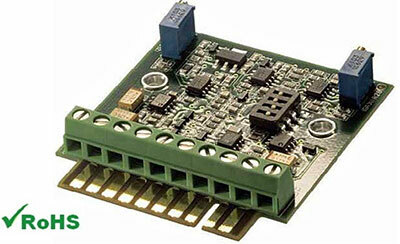 The LiM-420 is an LVDT/RVDT signal conditioning transmitter specifically designed for the OEM marketplace. Operating on an 18 to 30VDC unipolar supply voltage, the LiM-420 delivers a low noise 4 to 20mA output signal. Compatible with many 5 and 6 electrical connection LVDT and RVDT transducers (see specifications), this compact transmitter provides excellent performance on a budget. A generous excitation drive current of 20mA, allowing operation with transducer input impedances as low as 175 Ohms.